The milestones for this Bulls run were many. Mid-March in Boston after a blowout loss when Rajon Rondo and Nikola Mirotic got back in the regular, starting rotation. Closing hard with seven wins in the last nine games to make the playoffs on the last day, Jimmy Butler and Rondo with extraordinary weeks with Dwyane Wade out injured. And then that practice. This good? The second ever eighth seed to win the first two games of an opening round playoff series in NBA history, the Bulls dominating the Celtics for a second straight game? In Boston? No one is looking too far ahead because they’ve seen this Bulls team surrender the biggest leads and lose to the weakest opponents. Well, maybe not this Bulls team. It’s been a can’t-quite-believe-what-you-are-seeing few days in Boston for the Bulls, thwarting everything the Celtics have thrown at them from a big start from scoring star Isaiah Thomas in Game 1 to second half starting lineup changes in Game 2 to challenging the Bulls rebounding advantage with small lineups to force mistakes. The Bulls throughout have remained poised, powerful and ahead. 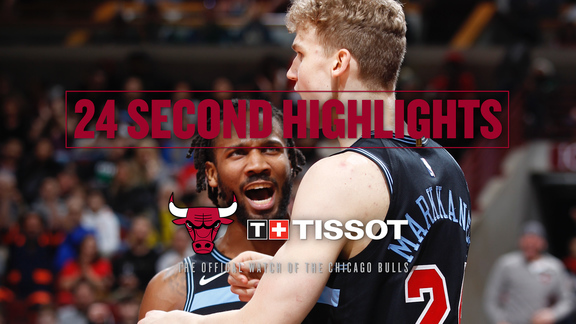 After the vital Game 1 with 19 points from Bobby Portis, the Bulls Tuesday got a big start from Nikola Mirotic with 10 first quarter points after Boston bolted out to a 9-3 lead. The home crowd was expectant, energized; time for No. 1 to recreate order. 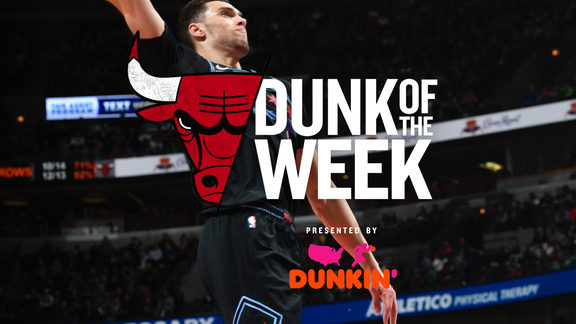 But in this continuing series of unexpected developments, Mirotic took over with a drive for a two handed dunk, a relentless followup after a Robin Lopez miss and then a pair of threes after missing all five he attempted Sunday. "I didn’t feel any pressure today. All the pressure was in the first game, missing those shots. I knew I was going to bounce back. I knew I was going to play much better. Mostly, I’ve been very focused on my defense, talking a lot with the coaches, the players. They knew my defense against (Al) Horford would be very important this series, so most of the focus has been on defense. But today I started making those shots." Horford had just seven points in 32 minutes as his inferior play has been one of the determining factors with Mirotic frustrating him throughout the first two games. Indeed. Lopez had another vital game, 18 points and eight rebounds, five offensive that finally forced Celtics coach Brad Stevens to go to Tyler Zeller over Amir Johnson to start the second half on Lopez. But Lopez continued to take the heart out of the Celtics and, interestingly, the crowd as there were audible sighs as he continued to beat the Celtics for offensive rebounds. This even as the Celtics coming into the game said the focus would be rebounding and controlling Lopez. 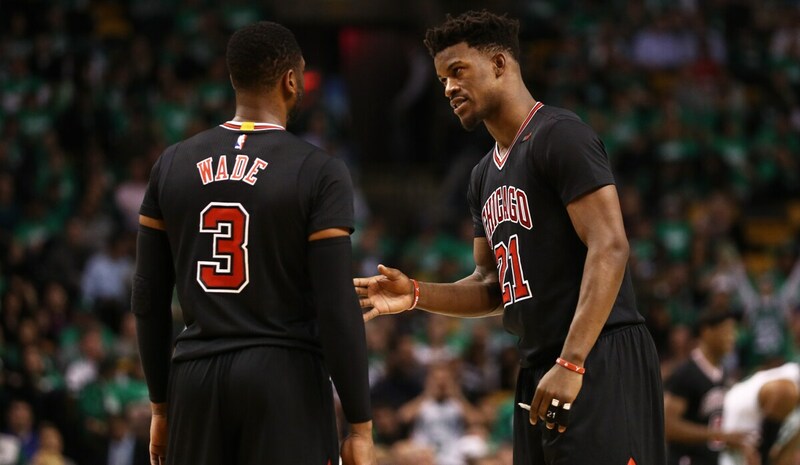 The Bulls outrebounded Boston 43-38 and hold a 22-rebound advantage in the two games in Boston. Often, surprisingly, it was Zipser, the second round pick constantly in and out of the rotation who had 16 points off the bench with clutch shot after clutch shot, making six of eight and a pair of threes without hesitation. Zipser had a big step in jumper early in the fourth quarter when Boston closed to 91-82 and ran him off the three-point line. 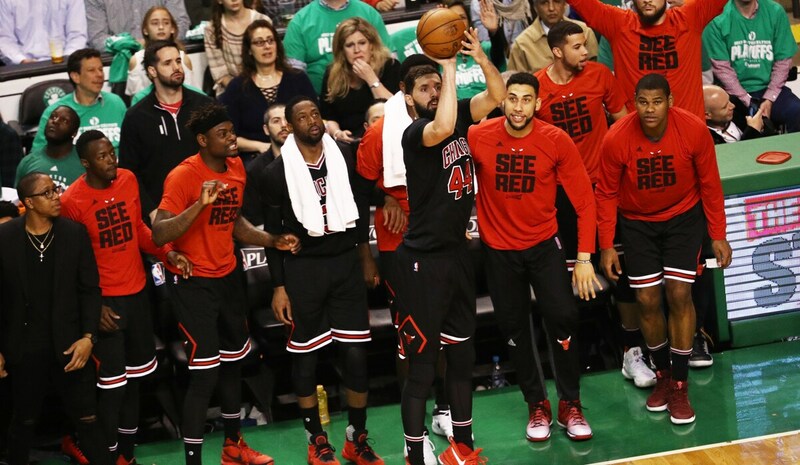 And then with the Celtics making one, last, desperate run after a Wade three gave the Bulls a 105-86 lead with 5:18 left, it was Zipser with a corner three on a Butler pass after Boston scored six straight points. That sent much of the home crowd shuffling to the exits and those left booing as the clock ticked the end of the game. 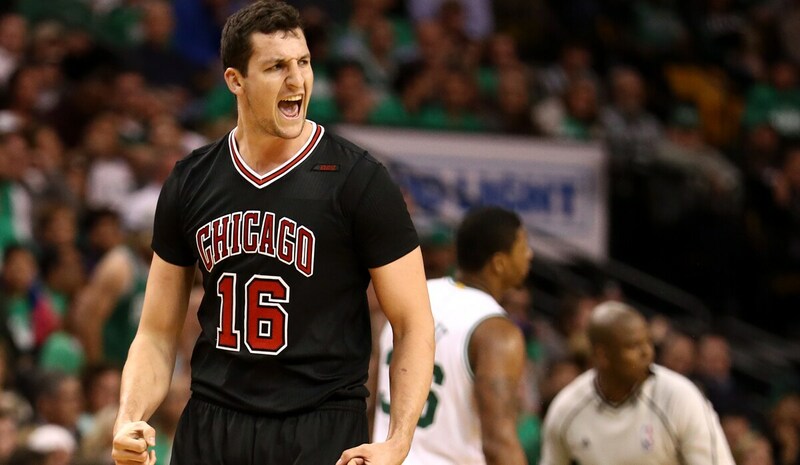 “I was just focused on the things I wanted to do,” said Zipser. “Everybody is just locked in; we talk about it all the time. Everyone just wants the best shot for the team. Our guys do a great job. I felt we had that same type of mentality with the defense, too. Yes, the man who named the Three Alphas, and then who challenged them, who withdrew from them, was benched, was out of the rotation, seemingly out of the city, off the team. Yes, that Rondo. He had 11 points, 14 assists, nine rebounds and five steals and defended Thomas most of the game. He had the team’s highest plus/minus rating at plus-24 and was the guy who Hoiberg said has been the unifier for this often splintered Bulls team. Plus, he played almost 41 minutes, second to Butler’s 43. Suddenly, the Bulls can barely survive without him. Try that one on with your preconceptions and misconceptions. So forget everything you think you knew about this Bulls team. OK, it’s just two games, and only halfway to a series victory. Though both on the road hardly matches anyone’s expectations. "We had our backs against the wall the couple of weeks leading in to where we had to win (to make the playoffs). Our guys did a good job of doing what had to be done to get us into the post season. So we’ve been playing high pressure basketball for several weeks and I think that does help you when you come into playoff time. Can’t be satisfied. Have to go home now and keep playing. This is one of the better road teams in the league. We have to continue to go out and fight, learn, continue to make adjustments and hopefully we play well." But this has been a special pair of games against the emotional backdrop of the tragic auto accident death of Thomas’ sister. The Celtics say he will now return to Washington state to be with his family and then likely return for the next game. There was no word on a funeral or if other Celtics players would attend. But no one on Boston was using it as an excuse after Thomas had 33 points in the opener and a team high 20 points in Game 2. The Bulls have taken Horford and the front line out of the game, quieted Avery Bradley and forced Boston to go deep into their bench Tuesday using Terry Rozier, Zeller and extra time for Kelly Olynyk. But it was the Bulls with the answers on offense, Wade coming to life with 11 fourth quarter points and the bench like a relay race with the baton passed to someone different every quarter and a response coming. Felicio finished a nice pick and roll for a dunk in the fourth quarter 10-0 spurt that effectively ended it, and another early in the quarter when Boston tried to trap Butler. Perhaps symbolically as well as per force, Butler, Wade and Rondo sat together at the post game press conference to answer questions. The NBA selects the stars of the game to bring to a media session outside the locker room. We may not have seen that scene of the three of them like that in months. But this appears to be a different dynamic, a team that has put its regular season woes and weaknesses behind it and bonded for a common goal. Who could have imagined that scene after those ugly days in January, team meeting, fines, benching, angry stares. It manifested itself Tuesday in a forceful effort that saw the Bulls control the game and fleck off every Celtics run like lint on their collars. It began with Mirotic’s play in the first quarter and six Bulls offensive rebounds in the quarter, two by Lopez. It seemed to take the heart out of the Celtics, at least their fans, with all the talk about changing that dynamic. Lopez was also sharp shooting, popping out of double teams against Butler and making eight of 11 shots. After leading by 12 in the first quarter, the Bulls led 31-26 after one quarter. The Celtics closed quickly to open the second, eschewing the physical inside play for ball pressure with a smaller lineup. They got within 38-36 and then Wade got away for a dunk, making it after coming up short with one Sunday. A good sign. The Bulls found Lopez for a pair of jumpers, one a long push with time running out and the Bulls held onto a 54-46 halftime lead. The Celtics are known for myriad adjustments and opened the second half with Zeller and quickly they were within 60-59. Mirotic finally added a third three pointer after missing four straight and so did Butler and Wade, Butler after another quiet first half scoring 10 third quarter points. And the Bulls were back ahead 79-65 and led 86-75 after three quarters. Defends, of course, also. Though he didn’t take Thomas head on much, Butler’s intelligence on defense was crucial and exemplary. Most NBA teams seek out favorable matchups through pick and roll. The Bulls are known as a team that switches frequently on defense, so teams can maneuver into a matchup they like. Instead, Butler continued to blow them up. One great example was midway in the third quarter. Thomas runs a lot of pick and roll with Horford, who is defended often by Mirotic because of his perimeter shooting ability. So Boston tries to get Mirotic to switch onto Thomas, who can then go right by or step back. Watching Boston set that up several times, Butler jumps in over the screen, pushes Mirotic off to the corner and faces up the smaller Thomas. Thomas is not a particularly good passer, especially when thwarted in his move, and repeatedly the Celtics’ offense would break down. 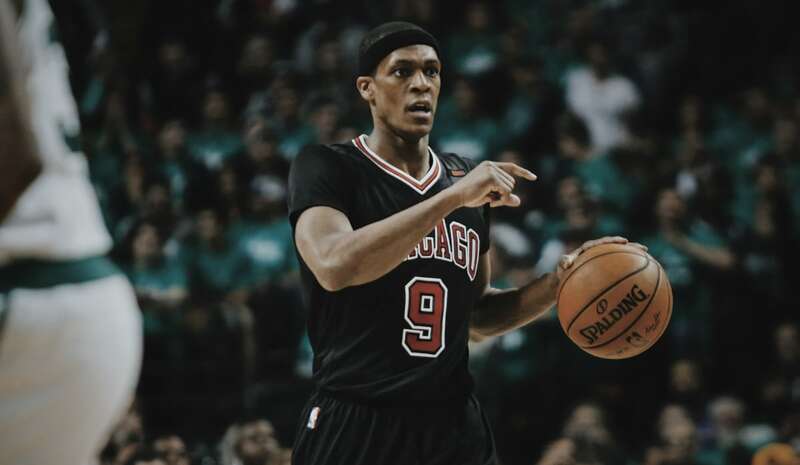 “Fred Hoiberg is doing a helluva job of putting us in the right situations to go out there and get some wins,” said Rondo. The fourth quarter was Wade, as he suggested earlier in the weekend, time for the classic car to come out of the garage and go for a spin again. After the Celtics gave it a last gasp with the crowd begging and Smart throwing in a three in Wade’s face, Wade went the other way and took over with a three, a driving score, another three, that one a long from on top and the Bulls were the story of the first weekend of the NBA playoffs with a 2-0 lead over the winningest team in the Eastern Conference. "Game 3 is just one game. But it's going to be our biggest game of the season. We want to approach it with that mindset and go out there and try to get another W. It's one game at a time, one possession at a time."